I had just declined a shoeshine, not because my shoes didn’t need it, but because we were about to get on another bus. “Shoeshine?” the teen shoeshine boy had asked in Spanish. As we waited for the bus, I asked why he came to Bolivia and he surprised me. Unfortunately, I had to depart, and took my dusty dirty shoes with me. I wear leather boots. 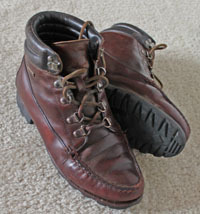 I’ve owned them since 1990 and they’ve traveled to numerous countries. I call them “my Bolivia shoes.” At home they are restricted to my closet. I rarely wear them because I fear I could not find another pair that serves me so well. Since I travel with only a carry-on backpack, I travel with only one pair of shoes. 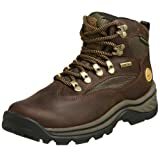 My boots work well for hiking, but also pass as a presentable city shoe. But now, I’ve one more reason to treasure my shoes. I’m providing jobs, employment for street children in Bolivia! What will you pack? Flip-flops, Gortex, or leather?